On the preserve!! Rarely available. Enjoy peace and serenity with only a short stroll to the clubhouse. This beautifully maintained laguna model casita features three bedrooms, three full baths, loft area and 2 car garage. Professionally decorated and furnished. This is a free standing home. Ole is a unique community within lely resort that offers its own resort style pool and clubhouse, restaurant, fitness center, amphitheater, movie theater, tennis/pickle ball courts and landmark fountains. 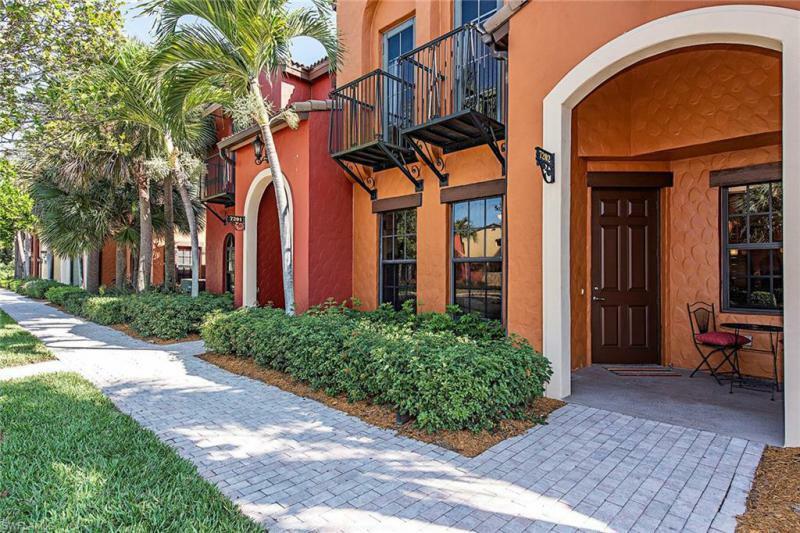 Lely resort features three golf courses and is just minutes from area beaches, marco island, rsw airport, groceries, shopping and the 5th avenue dining district and so much more!! You will fall in love with this turnkey furnished, spacious and bright casita located at the end of a quiet street in lelys ole resort community! This beautifully decorated home features an open floor plan with 2 bedrooms, 2. 5 baths, living room, dining area, loft office area, fully appointed eat-in kitchen, walk-in pantry, 2 car garage, and french doors that open to a private and secluded patio. This home is move-in ready with everything needed to enjoy easy living! Home warranty plan in place! The popular location is close to all amenities found at the amazing ole town center, including a bistro, english pub, library, computer room, fitness center, movie theatre, and a resort style pool with pool side food and beverage services! Other amenities include 3 championship golf courses, tennis, basketball, volley ball, bocce ball, pickle ball and planned get togethers and activities. Assessments cover exterior building maintenance, grounds maintenance, landscaping and all ole amenities! Experience and enjoy the finest in the lely resort lifestyle! Wow! What a value. Enjoy this meticulously maintained private end residence with lots of natural light and lovely tile flooring in the main living area. The kitchen provides new tile backsplash, stainless steel appliances, granite countertops and a walk-in pantry. 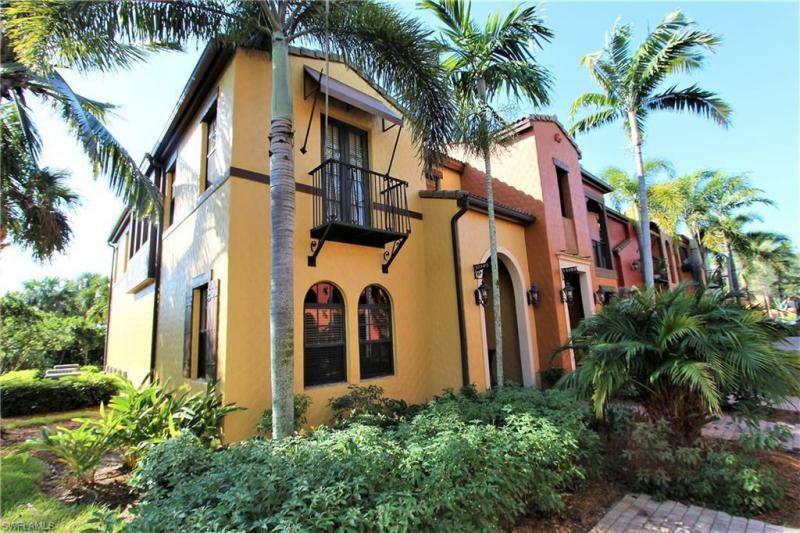 This residence features a loft with built-in desk, three large bedrooms with french doors and a small balcony. Walk-in closets, dual sinks and a separate water closet allow plenty of room and privacy for family and guests. The two-car garage offers newly finished flooring and this home had a new ac unit installed in 2017. 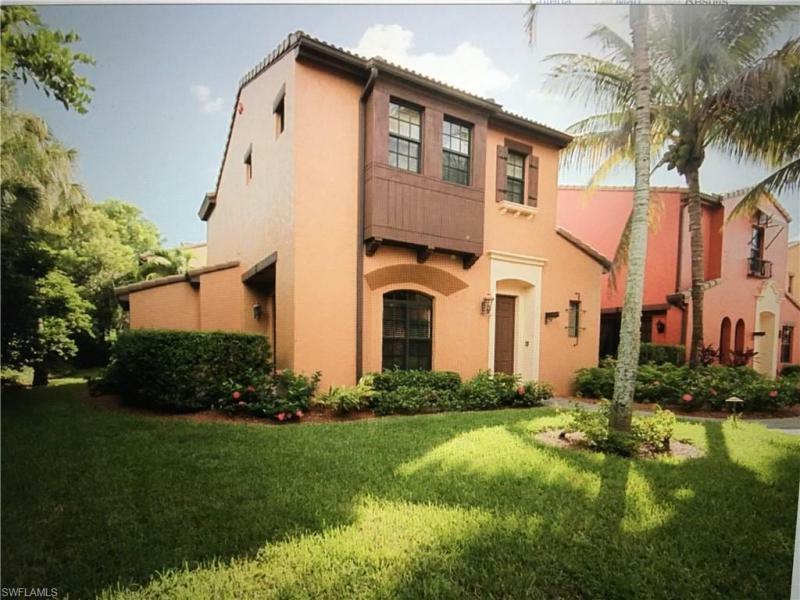 This home is located in lely resort with all its amazing amenities. Ole town center is complete with theater, several dining choices, resort pool and kiddie pool, volleyball, tennis and fitness center, wide and well-lighted sidewalks, fountains and water features. Enjoy the two beautifully kept golf courses open to the public within just a short distance. Ole' at lely resort cordova is one of 19 detached freestanding villas located just minutes to the stunning community pool and town center. This meticulously maintained property on a quiet street has 2 bedrooms, 2. 5 baths with 1561 sq. Ft. With upstairs loft workstation and 2 car garage. Kitchen is equipped with 42-inch wood cabinets and granite countertops plus walk-in pantry, breakfast room, desk and counter bar. French doors in the large living room open to a quaint paved terrace with privacy wall. The spacious master suite with en-suite bath offers both dual sinks and a separate tub and shower. Both the guest bedroom and master on the 2nd floor have en-suite baths, granite and wood cabinets. Laundry in residence as well as a 10 by 5 storage space that is accessed via garage. 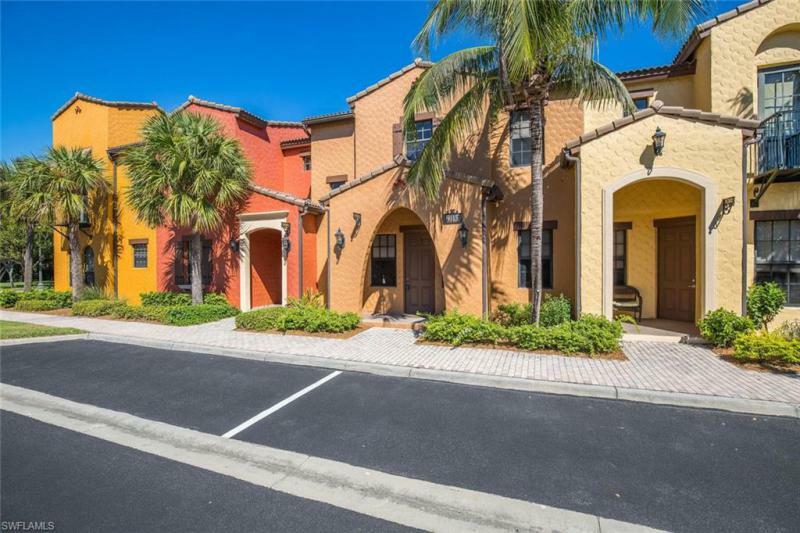 This mediterranean style community is built around the village center. It's a hub where most amenities are located: a pub, bistro, fitness center, ice cream parlor and even a movie theater! Other amenities include the pool, tennis, library, volleyball, bocce ball, basketball and much more. 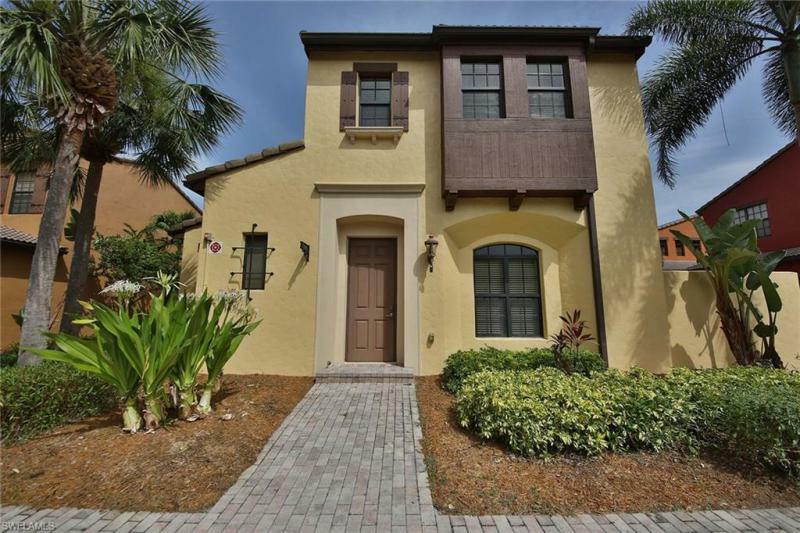 Centrally located, this community is almost equal distance to the beaches in naples or marco island.